It is YOUR responsibility to be fit and well on the day of the TRENT 100 in order to enjoy the experience as safely as possible and not put yourself at risk. Discuss any medical problems with your general practitioner (GP). The advice here supplements anything he or she says. See your GP if you have a problem that makes it a risk to Paddle in a TRENT 100. If you have a serious medical condition and want to consider paddling you should get your GP and/or specialist’s agreement. If this applies to you, please send us details of your condition and treatment along with your team name. Address the envelope to Medical Safety Director, mark it ‘Confidential’ and send it to: TRENT 100, Apartment 11, Waterside House, Duke St, Derby, DE1 3BA. We cannot give individual participants advice but are happy to advise your GP. If you have a medical problem that may lead to you having a blackout, such as fits or diabetes, we are not able to accept you onto the TRENT 100 Challenge at this time. Please carefully read the following useful and comprehensive advice from the TRENT 100 medical safety team. Stand up Paddle Boarding is good for the heart but in any strenuous endurance event there are occasionally fatalities from serious heart disease in athletes apparently unaware that they had a problem. Their condition may have been detected if they had had medical advice and the relevant heart tests. A ‘fitness test’ is not sufficient to detect these problems. If you have a family history of heart disease or sudden death, or have a high risk from high cholesterol or high blood pressure but particularly if you have symptoms of heart disease, such as chest pain or discomfort on exertion, sudden shortness of breath or rapid palpitations, see your GP who will be able to arrange for you to have a proper cardiac assessment. Such an assessment may not be instantly available, but continuing to paddle with these symptoms may shorten your Stand up Paddle Boarding career catastrophically! If you have ’flu, a feverish cold or a tummy bug, do not train until you have fully recovered, then start gently and build up gradually. Do not attempt to catch up on lost mileage after illness or injury – this may cause further damage or illness. If you have ’flu it can take as much as a month to recover, so consider whether you should take part in the TRENT 100 this time. To reduce injury risk, vary your training paddles, the pace and distance. Wear a quick release leash, buoyancy aid and be visible in swift moving water or water with busy traffic– wear bright clothing near other river traffic. Muscular aches and pains often occur after an increase in training. Try to gradually increase your training so that you do not suffer prolonged periods of exhaustion. Separate days of heavy mileage with one or two days of lighter training, or rest days so that your body can refuel your muscles with muscle glycogen. 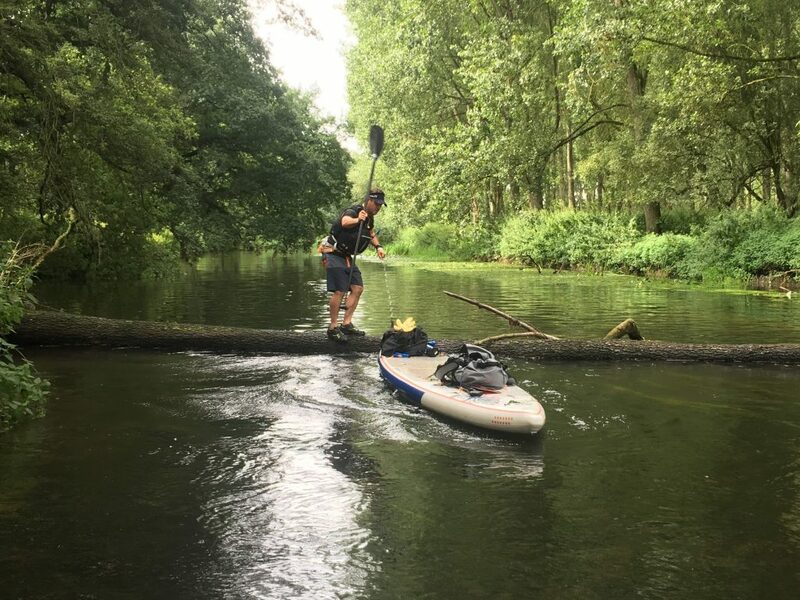 If you cannot paddle 50 kilometres comfortably three weeks before the TRENT 100, you are unlikely to safely manage 100 kilometres. We do not recommend you paddle on this occasion if you have not trained properly. You need to replace some of the fluid lost in sweat, otherwise your body becomes dehydrated and less efficient. However, drink when you feel the need and do not drink water excessively before, during or after the TRENT100 as you may develop hyponatraemia. As with other endurance sports, stand up paddle boarders who overdrink are at risk of developing hyponatraemia, a serious medical condition where sodium levels in the bloodstream are diluted. Hyponatraemia has resulted in a number of deaths in endurance events over the last few years and is entirely avoidable by not over drinking. Alcoholic drinks, tea and coffee are dehydrating. Take on board plenty of non-alcoholic drinks, especially when training in hot weather. Make sure your water packs are full before the TRENT100. Sip some water or sports drink in the half hour before the start so that you begin the event reasonably hydrated. Drinks will be available at regular intervals along the route at checkpoints. Do not be greedy when you’re grabbing water as you may be depriving slower paddlers behind you of much-needed fluids. Drink when you feel the need and do not gulp large volumes of fluids before, during or after the TRENT100. Your needs vary with your build, your speed and, above all, the weather. After the finish you can only rehydrate (replace lost fluids) gradually over the next 24 to 48 hours. Do not drink large volumes of fluid after finishing: listen to your thirst and drink accordingly. Eat some salty food as well as spacing out your drinks. This way you will not get hyponatraemia and will still replace the water, salt and glycogen lost in riding the TRENT100. Large doses of supplementary vitamins and minerals (such as iron) are not essential and produce no benefit if you are on a good mixed diet, but additional vitamin C in small doses is reasonable when fresh fruit and vegetables are in short supply. Training (with adequate rest) helps you to sustain a high level of muscle glycogen if you eat enough carbohydrates. If you can, eat within two hours of your long paddles. This helps replace muscle glycogen quickly and also speeds recovery. In the last few days before the TRENT100, eat more carbohydrates (pasta, bread, potatoes, cereals, rice and sweet things) at the same time as tapering or reducing your training. This loads your muscles with glycogen, which will delay, or even prevent, ‘bonking’. Wear appropriate clothes for the weather, but be prepared for all conditions. Do not paddle if you feel unwell or have just been unwell, even if you are paddling for charity. Most medical emergencies occur in people who have been unwell but do not wish to miss the event. If you feel feverish, have been vomiting, have had severe diarrhoea or any chest pains, or otherwise feel unwell, it is unfair to you, your family and your sponsoring charity to risk serious illness and become a medical emergency. You are unlikely to do yourself justice. There will be many other TRENT100s. Adequate preparation for a TRENT100 requires appropriate nutrition, hydration and rest. 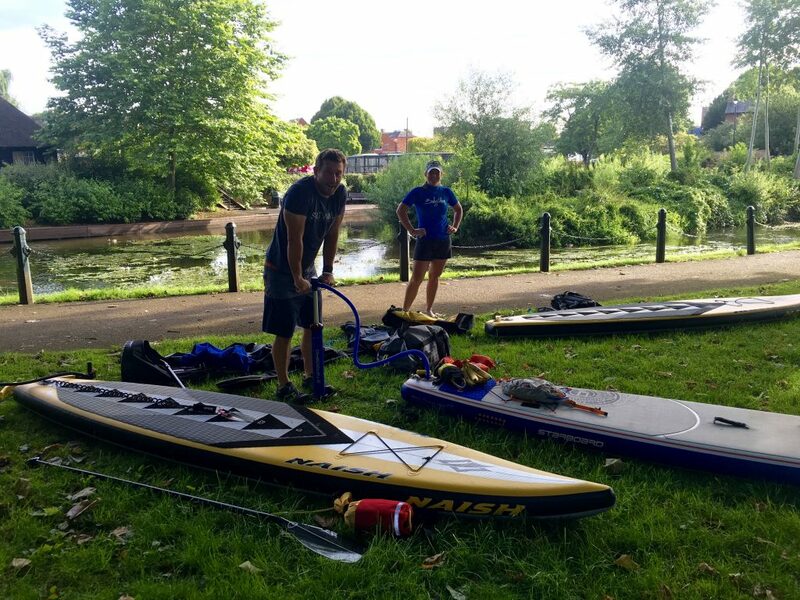 Paddlers often consume isotonic, carbohydrate and protein drinks as well as energy gels and bars purchased in sports and health food shops in preparation for the event, which is considered safe practice. However, over the last two decades there have been an increasing number of commercially available compounds that claim to enhance performance. Some of these have been found to contain substances banned in other countries, and other products (such as steroids) that are banned for use among competitive athletes. Such products are usually purchased via the internet and should not be used by anyone training for a sports event. Paddlers using performance-enhancing compounds that have not been licensed and regulated properly may experience serious side effects and increase their risk of developing heart disturbances that culminate in sudden death. For example, there have been well-publicised cases of runners inadvertently using compounds in an attempt to help them fight fatigue during endurance events, which have caused detrimental effects on their health, resulting in their death. In one recent case, toxicology identified traces of DMAA, which is an amphetamine-like substance. Although banned in sport, the product was legally available at the time and advertised as a powerful performance-enhancing agent, and the warnings associated with the potential harmful ingredients were not highlighted on the product. Paddlers should avoid consuming unregulated substances bought over the internet.